The team at Screencast-O-Matic believes in the power of video to create a positive impact. 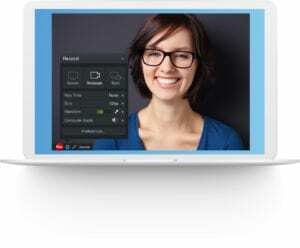 Whether you’re in the workplace, classroom or at home, videos provide a communicative solution. Video creation can save business time and money, help build deeper connections with students or employees, or even be one of your core products. If you’re seeking a new and meaningful way to educate, collaborate, or simply communicate, videos are a game-changer. There’s no limit to the number of ways you can use videos. Screencast-O-Matic has an amazing community of creators and we’re always discovering ways video is being utilized. To help you get your creative juices flowing, we rounded up five ways people are using videos to improve their workflows and teaching strategies. As an educator, how do you get students to engage with course material and come to class prepared? 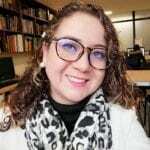 Professor Carolina Rodriguez Buitrago, an English and technology professor at the Institucion Universitaria Colombo Americana in Bogotá, Colombia, creates videos to solve this problem through a method called flipped learning. She records video lessons for her students to watch at home, and uses her classroom time for more interactive, hands-on projects. Why we love it: Carolina’s screencasts allow her to develop stronger student-teacher relationships, get more out of class time, and increase student accountability. Would you believe you can build a thriving business with a fully distributed team, while using screencasts as one of your core products? That’s exactly what Taylor Lane did with Remote Like Me. The team helps people find and land remote jobs. Remote Like Me offers courses on topics ranging from resume reviews to a full-scale career search guide, all powered by Screencast-O-Matic’s video solutions. Lane’s favorite video trick is to show her webcam while providing guidance on her computer screen. This technique gives her the ability to show clients the material they need to see, while also giving them face-to-face feedback. Why we love it: We love how Remote Like Me incorporates video as a product within their business. Video gives them the ability to serve clients all over the globe. Two back-to-back hurricanes hit the U.S. Virgin Islands in 2017 devastating the area. 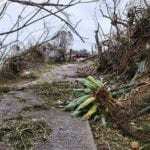 The University of the Virgin Islands sustained damage to buildings, had no electricity or internet, and lost the enrollment of 300 students. They needed a way to continue teaching, so they turned to Screencast-O-Matic. Dr. Ameeta Jadav, Center for Excellence in Teaching and Learning, says video helped them to continue teaching in an area that was still reeling in devastation. Instead of holding classes on campus, professors recorded lessons and shared them with students to watch independently. Why we love it: This time of hardship inspired faculty to embrace technology long-term, both as a way to enhance the learning experience, and a way to stay prepared for future emergencies. Real estate is another industry where videos can make a big difference. 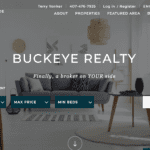 Terry Yonker of Buckeye Realty in Orlando, FL uses Screencast-O-Matic to save time in his business. His team has produced thousands of instructional videos to train new employees and provide training material in real estate courses. They also use Screencast-O-Matic to collaborate, often using videos to enhance visual aids. Why we love it: Videos tutorials frees Yonker up to help clients find homes. It also gives trainees a resource to refer back to if they have questions. Finally, using video instead of email fosters a more collaborative work environment and helps with client communication. The students and teachers behind the screens are far more important than perfectly polished content, according to Michele Eaton, Director of Virtual and Blended Learning at MSD of Wayne Township in Indianapolis. She prefers to create simple, straightforward videos so she can focus on connecting with her students. Why we love it: Eaton says her students respond best to videos when they can see her face on the screen. It’s helped her reach every student in a meaningful way, and get them using technology they’ll need in the real world. Have a unique or empowering way you utilize video? Please share it with our community. Send an email to Christine (christine@screencast-o-matic.com).